This past weekend I attending a really fun event that I will share with you in my next post but before we headed off to the event I decided to do a quick impromptu video of how I put together a really simple but cute 1960's inspired outfit. That time of day was really sunny and so my husband who was recording didn't notice that there were shadows all over my face so I apologize beforehand for not being able to see my face as clearly as I would have liked but he did a great job irregardless. I liked doing a video outside and if you would like to see more let me know what you would like to see videos of. I hope you liked it and don't forget to subscribe to my channel HERE when you get the chance. Thanks! Super cute outfit! You can go anywhere and look chic. Yellow looks great on you, it's such a happy colour! I second Christina, yellow is glorious on you, dear Daffny. 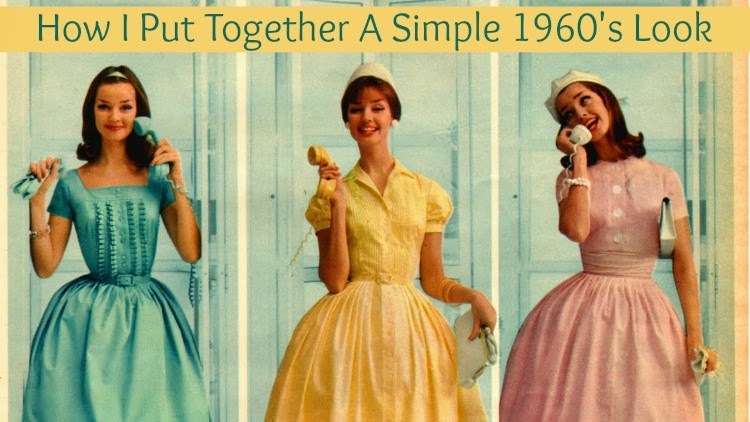 No one makes the feminine, classic looks of the early to mid-1960s look lovelier in 2015 than you!